I’ve been lucky with basements. Having purchased five houses in my life, not one has had serious basement moisture issues. Some dampness in summer, yes, but nothing a dehumidifier couldn’t handle! The secret: When being shown a house by an agent, try to begin your tour in the basement. If there’s evidence of a significant water problem (such as an active sump pit and pump or high-water marks on the walls), walk away before you fall in love with the kitchen or master suite. A wet basement is going to cause all sorts of problems beyond water—rust, rot, mold and unhealthy indoor air. Consider all available options to stop water from entering your home through the foundation. 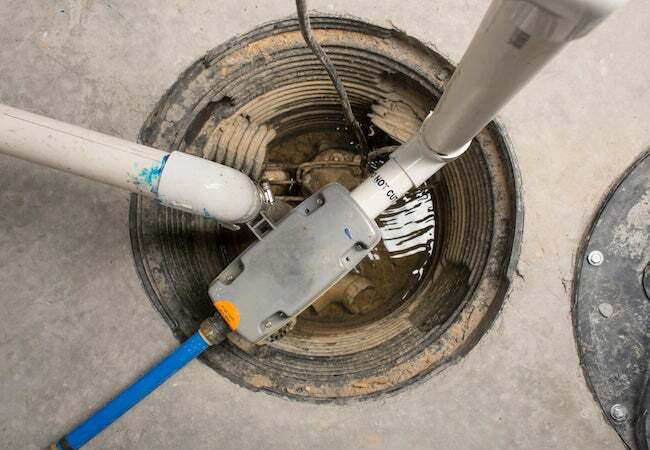 Installing a sump pump can be messy, and another solution may be just as efficient. For instance, I’ve known homeowners who put in a sump pump only to abandon it after installing an outdoor curtain drain that diverts water to a pond. Similarly, installing or repairing gutters so they don’t drain near your foundation can also make a big difference. And if a walkway, patio, or pool deck slopes toward your house instead of away from it, they are contributing hundreds of gallons of water to your problem. Some services can re-level slabs so they drain away from the house, and many types of patios can be removed and reinstalled with the proper slope without too much expense. Choose a submersible pump over a pedestal pump if your sump basin has the space. Submersible pumps allow the sump pit to be covered with a lid, reducing pump noise and stopping debris from falling into the pit. An airtight lid also helps keep moist air from being released into your home. Buy a pump with a cast iron core, not one made of plastic. Cast iron helps to dissipate heat to the surrounding water, lengthening the life of the pump. To minimize the chance of clogs, the pump should have a no-screen intake design coupled with an impellor that can handle solids up to ½-inch in diameter. The switch should be mechanical, not a pressure switch, and the float should be solid so it can’t become waterlogged, fail to switch off, and burn out the pump. Look for one with an alarm to alert you when the water reaches a certain level. A secondary pump installed right next to the first is a good idea too, especially if your basement has been converted to living space or if you store valuables there. If your primary pump fails or is overwhelmed, the back-up pump automatically takes over. For extra insurance, a battery backup pump can also be installed. When the power goes out, as it often does in a storm, the battery-powered pump can continue pumping for up to two days, depending upon the demand. Combination packages with two or three pumps are available. A less costly option is to install a water alarm and to keep a spare pump on hand should the primary pump fail. 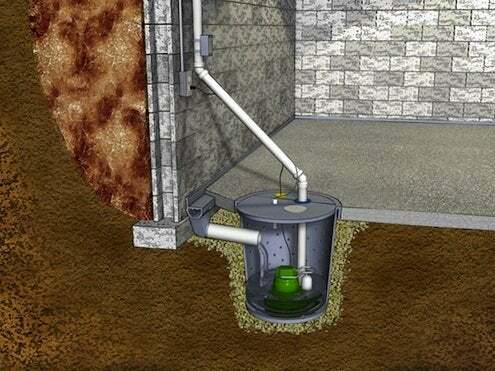 Once you’ve invested and installed any necessary sump pumps, test them regularly and make sure the check valve is functioning, so water doesn’t flow back into the basement.